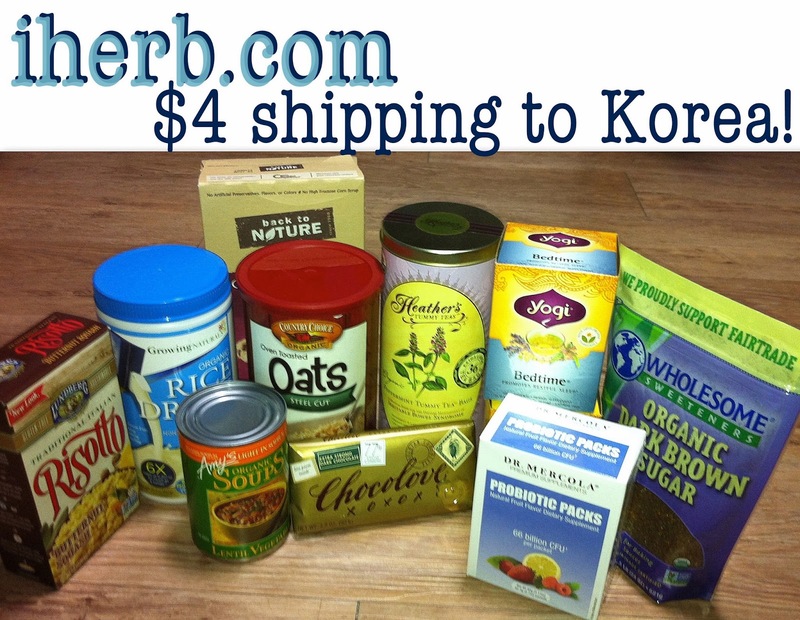 For any American living in Korea, you must know about iherb.com! This California-based online shopping site sells groceries, bath & beauty products, herbs, supplements, and more, but here's why I care: Shipping to Korea costs $4! Yeah, it's incredible! A full box of goodies from California to South Korea for $4. And delivery time is super fast, too. I placed my first order this past Saturday, December 7 (an early Christmas present to myself!). It shipped on December 8 (a Sunday), and was delivered to my rural elementary school today, Wednesday the 10th. iherb, you're amazing! And even though the wait was brief, I was emailed a tracking link from the Korean postal service on Sunday as soon as my box was shipped. I'm so pleased with this site, and I had never heard of iherb before a TTG friend told us about it a month ago (in the states I do my online shopping on amazon). I was given a rewards code (QNK798) that will get first-time iherb shoppers $5 to $10 off their purchase, so I wanted to share it here! Although you can find almost anything from America here in Korea, it's so much simpler to order the products you're familiar with (in English) and have them delivered to your doorstep days later. Especially for health products, like my probiotics. Hello Rebe, good article. It is required to have an ARC number to be able to order from Iherb ?